These Play ball! 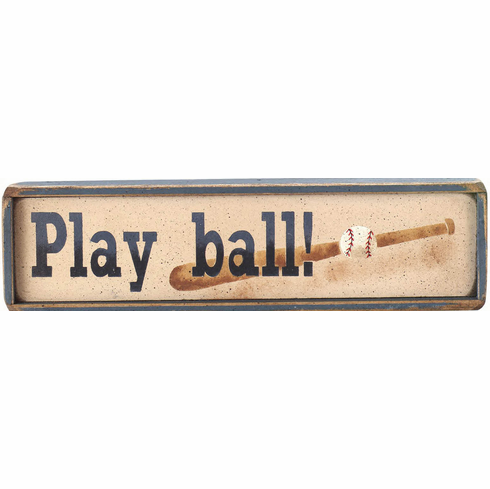 mini baseball signs are made with distressed corners to give them a rustic look. 2.5" x 9" mini signs are perfect for desks and small areas.